Sudeshna started playing Sarod as early as four years old and perform from stages since the age of seven. Her guru is the great Sarod maestro Ustad Amjad Ali Khan, and she is one of her generation's most successful musicians. Sudeshna comes from the rich tradition Hindustani music and is something as rare as a female sarod player. In 2001 she won the title of "best Indian Musician" and in 2002 the title of "best Performing artist" in India. Since then she has toured the world and seduced the audience. 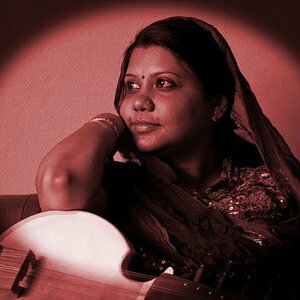 Sudeshna has a tremendous inner strength that makes her concerts to a powerful experience that leaves no one untouched.www.sudeshnasarod.comMela brings the world to Oslo by introducing some of the world’s greatest artists at a festival in the heart of city . With leading artists from all art forms from different continents and genres, Mela 2014 will once again transform the City Hall Square into a place where cultural horizons are broadened and new art expressions explored.